The small yellow sea buckthorn berries are true vitamin bombs and contain up to ten times as much vitamin C as lemons. Three spoonfuls of sea buckthorn juice are enough to cover an adult’s entire daily vitamin C requirement. Also externally the sea buckthorn berry can cause true miracles: Sea buckthorn oil helps with sore laid, inflamed skin, protects against harmful UV radiation and is even used with chronic skin diseases such as Neurodermitis. 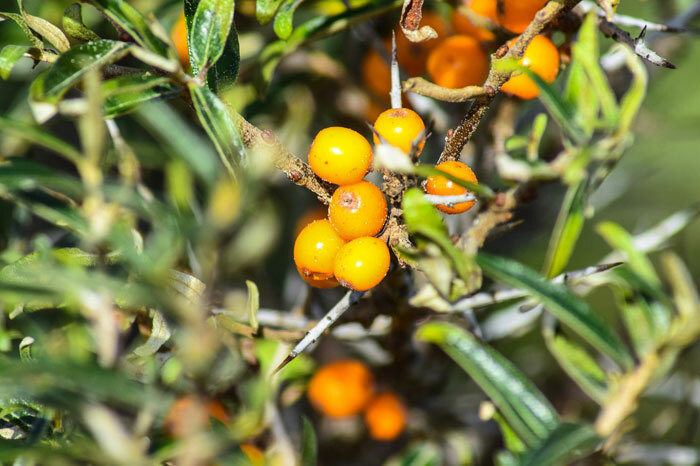 The bright yellow sea buckthorn berries grow on prickly bushes – preferably in harsh climates and loose, calcareous sandy soils, on rocky slopes or dunes. In Germany, sea buckthorn, therefore, occurs primarily in Mecklenburg-Western Pomerania, Brandenburg, but also in the Black Forest. The career of the “Lemon of the North” began in the GDR, where tropical fruits were mostly in short supply so that sea buckthorn was an important source of vitamins. Today, sea buckthorn is available as juice, mush, tea, syrup and in many other forms in every health food store or organic food store. Since the berries are very sour, people rarely eat them in raw form. However, they are gently pressed and processed; most of the nutrients from the sea buckthorn are preserved. 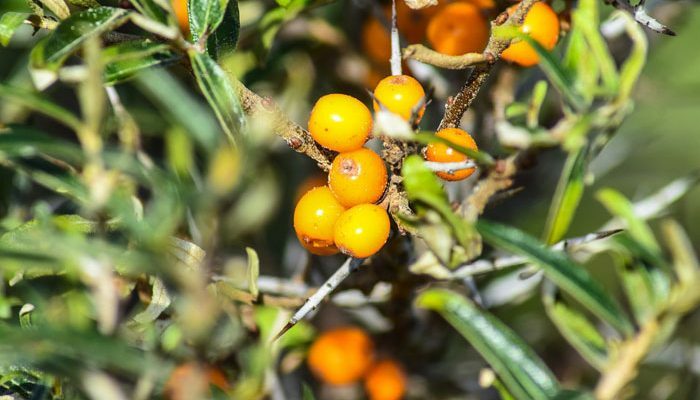 Sea buckthorn: vitamin B12 supplier? Sea buckthorn is one of the few plant foods to contain vitamin B12, which is otherwise found predominantly in meat. Sea buckthorn is therefore often recommended as a B12 source for vegetarians and vegans, some of whom lack this vitamin. However, it should be noted that sea buckthorn – influenced by fertilization and soil quality – often no longer contains vitamin B12. Sea buckthorn is therefore not a reliable alternative to B12 preparations for vegetarians, especially vegans. Sea buckthorn contains numerous healthy nutrients: In addition to the already mentioned vitamin C, sea buckthorn also contains an abundance of E and A vitamins. Many vitamins are fat-soluble – sea buckthorn provides the fat at the same time and enables the body to process the nutrients directly. The flesh of the sea buckthorn berry also contains minerals such as magnesium, iron, calcium, and manganese. All these nutrients are contained in a few spoons of sea buckthorn juice or sea buckthorn puree. The sea buckthorn juice is the best drunk in a 1:6 ratio with water. Sea buckthorn juice also tastes good mixed with a spoonful of honey in hot tea or apple juice. Peel and core the apples and cut them into slices. Preheat the oven mix the flour with the baking powder and place in a bowl, add the quark, milk, oil, sugar, vanilla sugar and salt. Knead the ingredients into a dough using a hand mixer. Roll out the finished dough on a baking tray greased with butter. Cover the dough with the apple slices, spread a few scoops of sea buckthorn jam (alternatively a few dashes of sea buckthorn liqueur) between the apples and bake the cake at 180 degrees for 25 to 35 minutes. In the meantime whip the cream with the vanilla sugar until stiff. Stir the quark with orange juice and sea buckthorn juice until smooth and fold in the cream. When the cake is baked, let it cool, spread the sea buckthorn juice cream on top and smooth down. Finally, fry the oat flakes and sugar in a pan and sprinkle over the sea buckthorn juice cream. Sea buckthorn is an all-purpose weapon not only in the kitchen but also in cosmetics. The fatty oil of the fruit flesh and the seeds of the sea buckthorn juice pampers the skin and has a healing, anti-inflammatory effect. A few drops of pure sea buckthorn oil on sore or inflamed skin stimulate the regeneration of skin cells and support wound healing. Sea buckthorn preparations are also often recommended for treatment of acne or neurodermatitis. Also, the power of the yellow sea buckthorn juice berry has recently used in cosmetic products such as face cream, body lotion or bath oil. As sea buckthorn oil protects against solar radiation and thus prevents premature skin aging, it is primarily used in products for mature skin. The rich oil is particularly suitable for people with very dry, rough, flaky skin. In spite of all its miraculous powers, the sea buckthorn berry unfortunately also has a catch: since the prickly bushes are difficult to harvest, genuine sea buckthorn products are usually relatively expensive. Due to its high concentration of active ingredients, the pheasant berry is used in a wide variety of diseases. First, it strengthens the immune system and is, therefore, the ideal companion in the cold season. It promotes the body’s resistance. Due to its ingredients, sea buckthorn has an anti-inflammatory and pain-relieving effect throughout the body. Applied externally, it reduces sunburn, neurodermatitis, psoriasis, but also rheumatic complaints and edema. Scars are reduced, and the skin benefits from natural UV protection. Internally, sea buckthorn can relieve chronic lung diseases such as bronchial asthma, it helps with stomach and intestinal inflammation and improves the quality of blood and blood vessels. Due to its high concentration of antioxidant substances, it is used in medicine in cancer patients as an adjuvant to chemotherapy. The sea buckthorn berry can also help to lose weight. It is supposed to reduce the desire for sweets, but also alcohol and nicotine. Sea buckthorn also has a lot to offer in terms of taste. It has a very intense taste, which can best be described as fruity and spicy. Similar to citrus fruits, it has a strong sour note, which makes its viscous, orange juice the ideal complement for mixed drinks and cocktails. Occasionally, the berries are also used to make fruit brandies or liqueurs. Sea buckthorn is traditionally used as an ingredient in many types of tea. Thus Rooibos tea gets its sour note mainly from dried sea buckthorn berries. Its intense, aromatic taste, combined with its extremely healthy ingredients, makes it a prevalent fruit, which has gained in importance again in recent years. 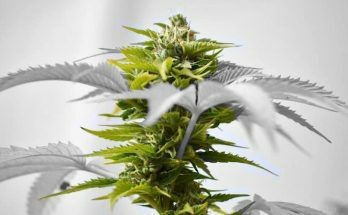 Previous Article Is It True That CBD Will Make You Hungry or Increase Your Appetite? 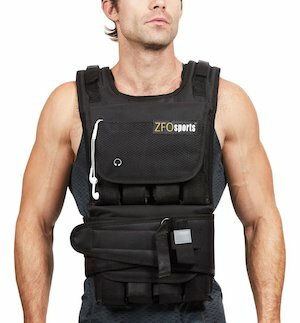 Next Article Is Boxing A Good Cardio Workout? – What Will I Need To Get Started?